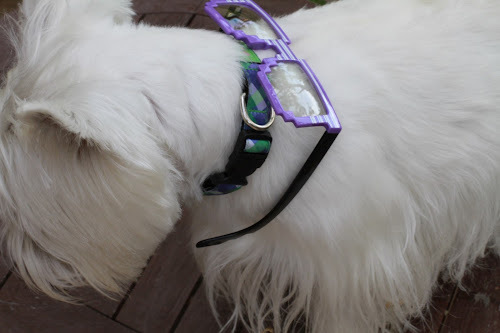 The White Dog Blog: It's sunglasses day!!!! Those are so cute Duncan!! You look cool in those, Duncan! Our glasses didn't stay on very long either. I feel the same way you do about clothes, but you do look really cool in your shades. LOL Duncan hope you got some treats for all that posing? Have a tremendous Thursday. Duncan… you are soooooooooooo funny. I love pic #2. Thank you for joining in on the fun. Have a great Sunglasses Day. Duncan you look HUNKY DUNCie in those shades. Thanks fur joining the FUN. 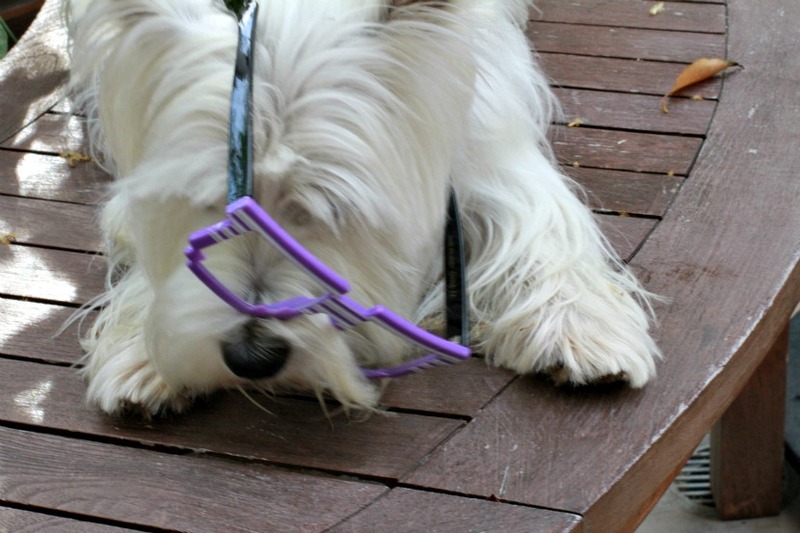 Love your purple specs, Duncan! 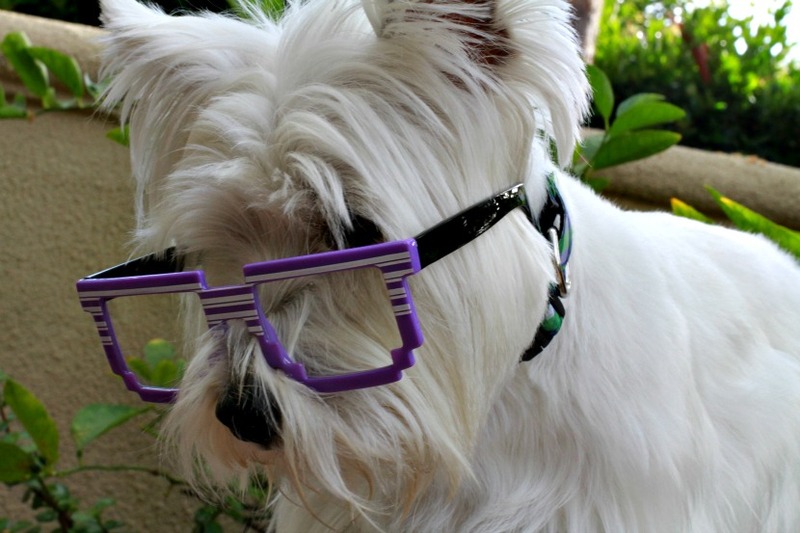 Pawfect way to wear glasses! Hi there!! Your purple glasses are so nice against your white fur!!! Gaahhhh, we hate clothes too although you do look pretty cool in your shades Duncan! received these glasses sun METAL MULISHA - The Reserve, from http://www.kickshop.eu/glasses/p/glasses-sun-metal-mulisha-the-reserve-black/, I become loyal fan of the site.